Born at Walungurru, Elizabeth is the daughter of Frank Tjupurrula and Mary Napanangka. 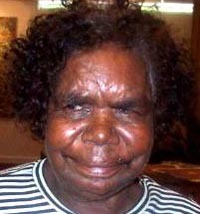 Born about 1959, Elizabeth Nakamarra Marks lives to the east of Kintore, in the Northern Territory. 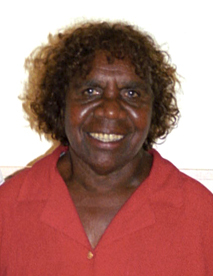 Her languages are Pintupi, Luritja and, from her mother's side, Warlpiri. 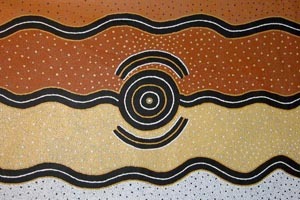 She is a member of Papunya Tula Artists Pty. 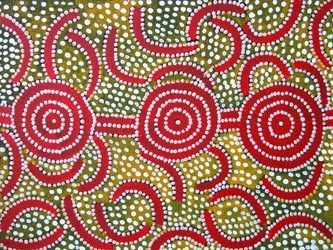 Ltd., one of the later generation of women artists to join this important, Aboriginal owned and operated cooperative, based in Kintore and Kiwirrkura. 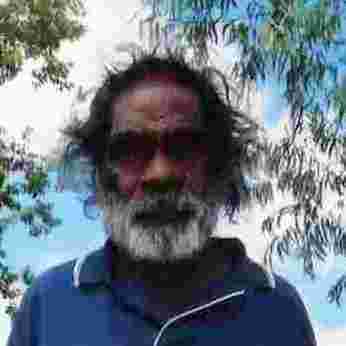 Her father died when she was an infant and Elizabeth was raised by her stepfather Turkey Tolson Tjupurrula and uncle Johnny Warangkula Tjupurrula, both esteemed artists of the Papunya Tula art movement. She married the late Mick Namarari Tjapaltjarri, also a key artist of the Papunya Tula movement, with whom she had three children Angelina, Peter and Farren. Elizabeth Marks Nakamarra studied for three years at the Bachelor College in Alice Springs and served as a council member in Kintore for two years where she worked assiduously assisting her community members.